To celebrate Vista’s 15th anniversary, we are shining a spotlight on someone who started his or her employment with Vista across each of the 15 years. Jenn always knew she wanted to pursue a career that would allow her to help others and make a difference in their lives. So when she first came to Vista, she knew she was on the right career path. What started as an internship led Jenn to a position as a valuable and dynamic member of one of Vista’s longest tenured programs, Outreach Services. 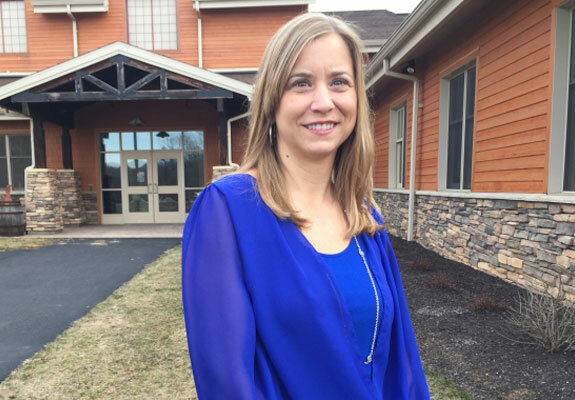 After graduating with her master’s degree in Applied Behavior Analysis from Penn State University, Jenn was intrigued by the opportunity to work in Vista’s Outreach Services and provide services to local public school students with low to moderate autism. What is Vista Outreach Services like? Jenn’s passion for the position she holds is undeniable, as evidenced by her continual dedication and fulfillment of the same support services role throughout the past 13 years. In particular, she values the strong systems in place and consistencies the role brings, but reflects back on how different things were when she first started. Jenn’s own strengths and expertise have led to countless students across Central Pennsylvania to recognize the skills and assets they have inside, even when they don’t recognize it themselves.